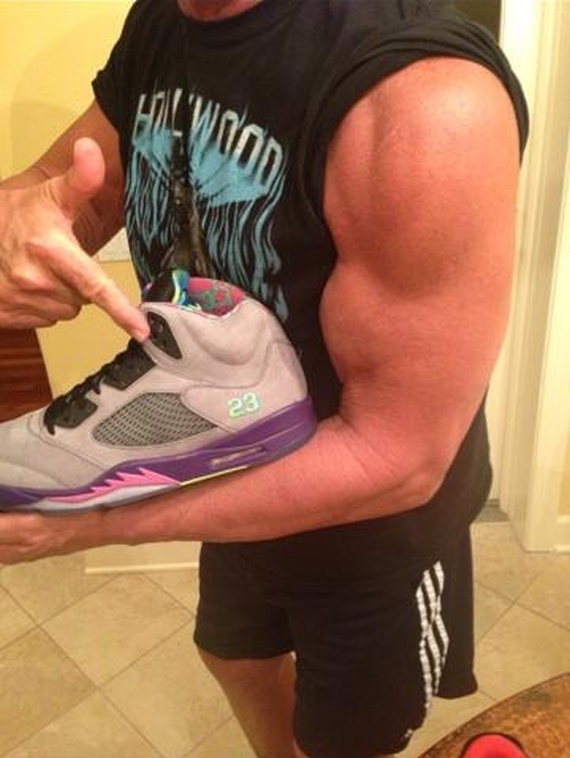 Celebrities get free sneakers, it’s just a fact of life you’ve gotta live with. 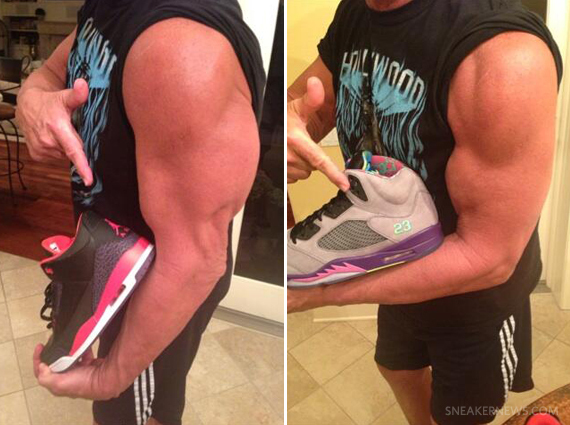 One of the guys who has been getting hooked up pretty hard lately is Hulk Hogan, who has all of a sudden developed a decent little collection of Jordans. The latest pairs that the man has showed off are the “Bel Air” Jordan 5s and the “Bright Crimson” Jordan 3s, each of which he’s got in the tough to track down size 17. Continue reading to see both of Hulk’s pick ups and let us know if you’re feeling some type of way about the goodies he’s been gifted.